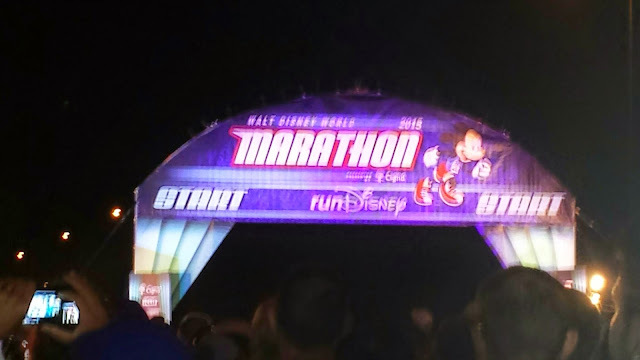 We're onto the big daddy of all Disney races: The Marathon! 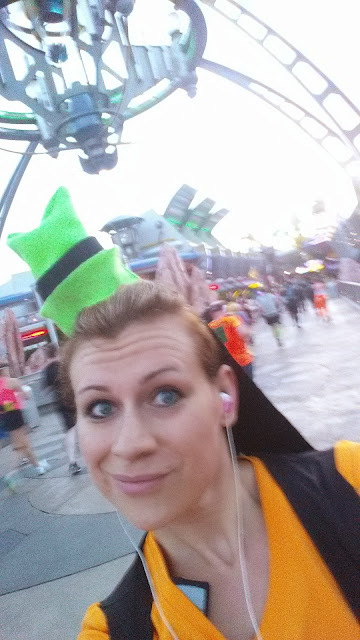 This is my 4th WDW marathon and 5th overall marathon (did one in Vegas a long time ago). Honestly, as I become more comfortable at this distance, this really is starting to become one of my favorite Disney courses. You get so much Disney time and they break up the course really nicely. 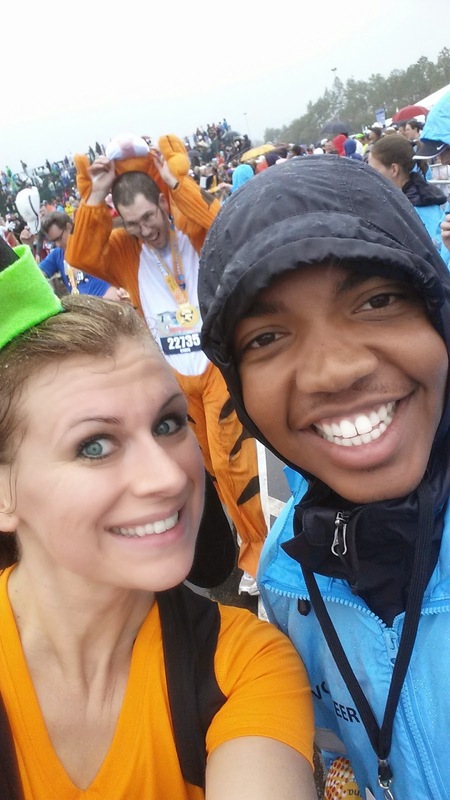 If there is ever a time you consider a marathon, this is the one to do! Last year, I PR-ed the marathon during the Dopey Challenge. This year, after signing up only a few weeks earlier (never recommended, by the way), I set an "un-PR" by running my slowest race yet. But...what that means for you is lots and lots of pictures! 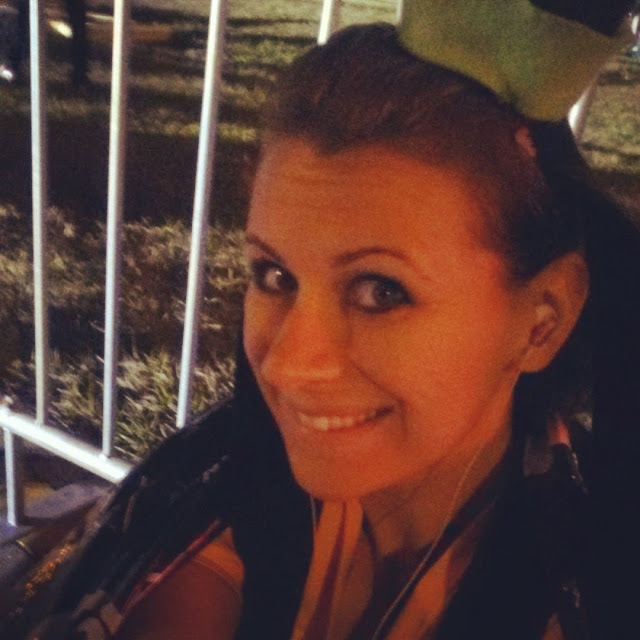 I spent my time enjoying the course, the other runners, and enjoying the beauty that is a marathon. Most people never get the opportunity to experience 26.2 miles--it's a rare and exclusive club, and I'm proud to be part of it! We started out just like the day before, very early and cold (albeit, warmer than the morning before, but I was still really glad I brought extra Mylar blankets for the start). 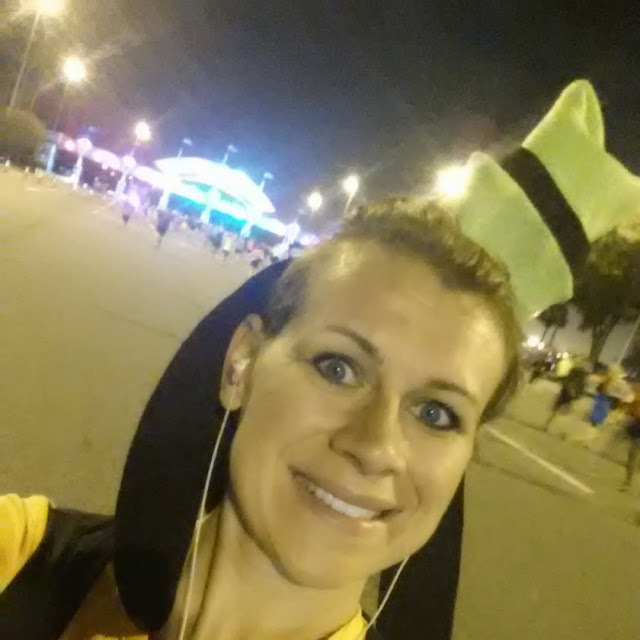 I put myself back a corral because my #1 goal during this race was to ride Everest in Animal Kingdom. I had it timed out and I wanted to be sure I wasn't just standing around. I sat at the start to save my legs, and waiting for the send off. 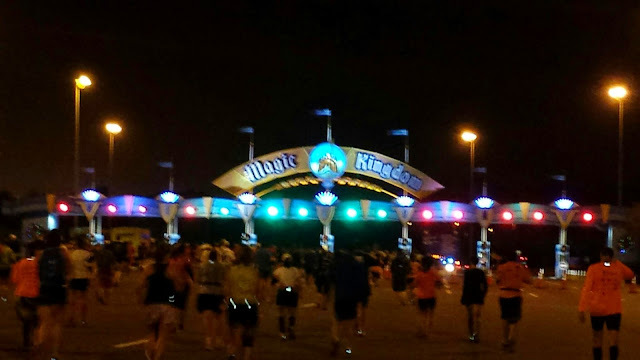 The race starts out with a few miles on the streets between the Magic Kingdom & Epcot. While it's not the most exciting part of the course, it's nice to be able to spread out and get your pace going. 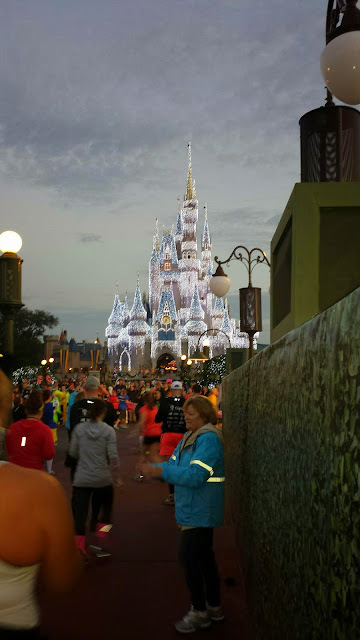 The first fun place you run to is the Magic Kingdom. You enter through the Transportation and Ticket Center, but just seeing the MK sign is awesome! I love that they keep the castle lit for Christmas. Even if you are there at dawn, it's still beautiful! Right turn ahead, and you're in Tomorrowland! 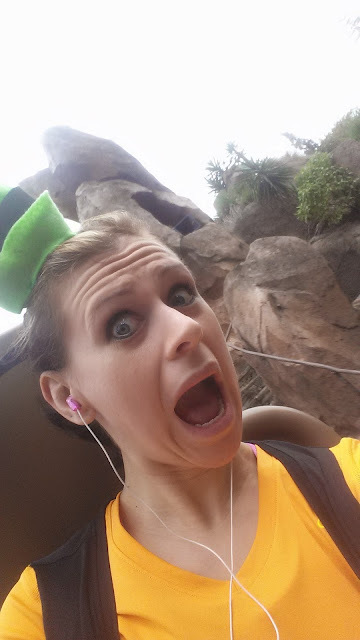 You then run around the back of the Magic Kingdom, right past the newest, hottest attraction: The Seven Dwarfs Mine Train. Why is THIS ride not open? I would have waited for this one!!!! Left by the carousel, and you hit the picture perfect spot of running through the castle. 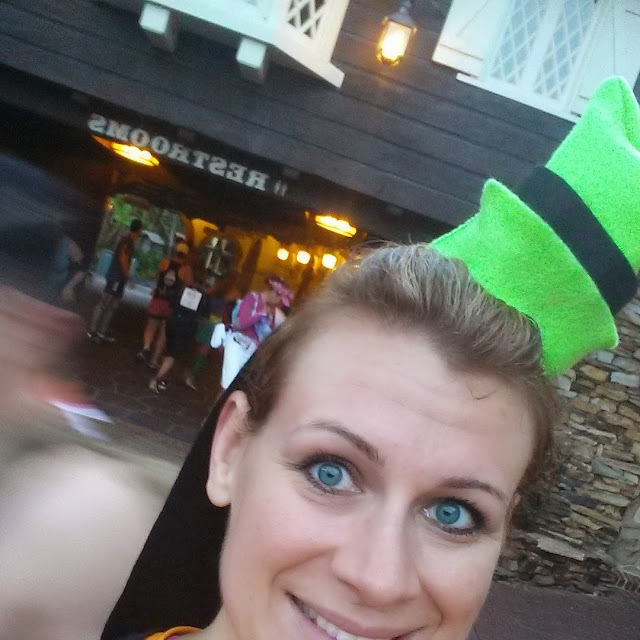 It's my secret dream that someday I get that perfect pic and I'm featured on the runDisney website. Weird...I know! 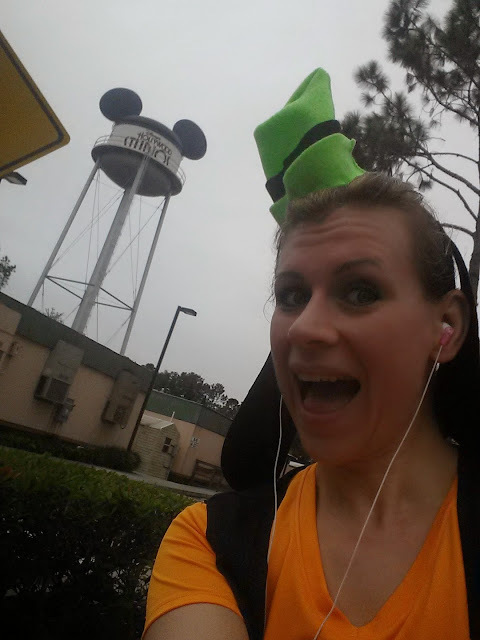 Mile 6 is the last mile marker you see in the Magic Kingdom, but WAIT! Make sure you use a real bathroom before you leave the park! So much better than a port-o-potty! After you exit the Magic Kingdom, you only have a few short miles on the road before you hit the Speedway. Rumor is they are getting rid of the Speedway in a few years. 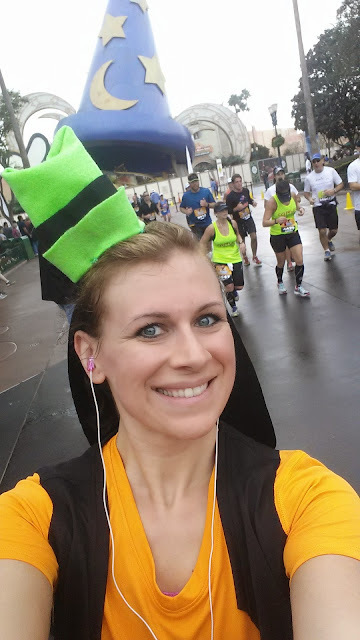 For a normal Disney vacation, that doesn't impact me too much, but truth be told, it's a great distraction when you're running a marathon! 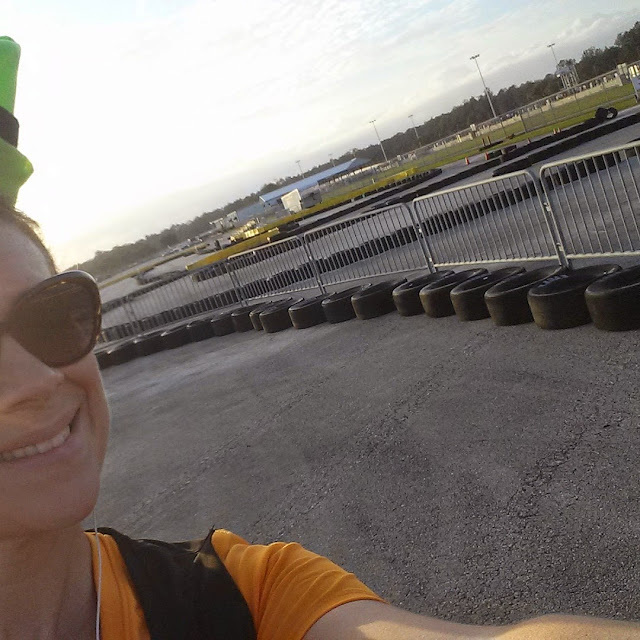 Do I look faster on the Speedway? 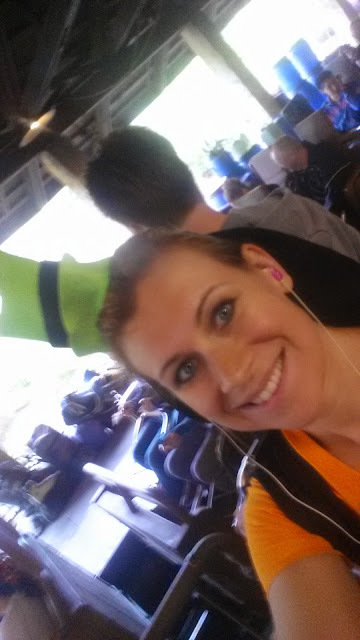 There are some more roads, and Disney does it right by taking you by some more characters and stops. 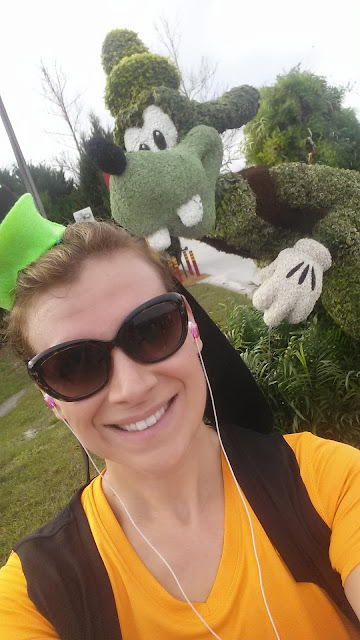 I didn't stop for characters this time around, but I did stop to take a pic with the Goofy topiary. When I was a kid, I totally wanted this to be my Disney job. Too bad I can't keep a plant alive more than a week! 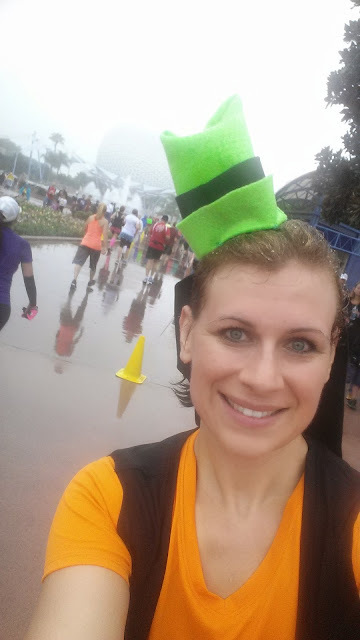 Soon enough, we were heading in Animal Kingdom (my #1 race goal...remember). I was still a little early even though I went as slow as I could, so I stopped at another real bathroom. 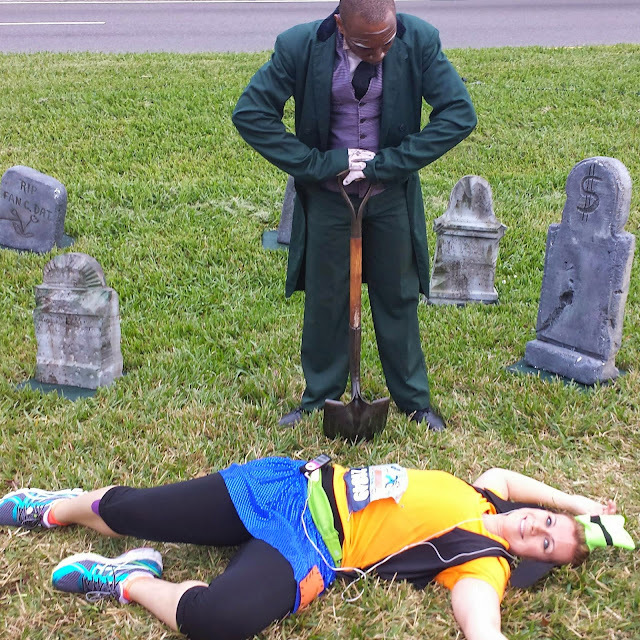 People...this is GOLDEN in a race! After the potty break, the line was open. 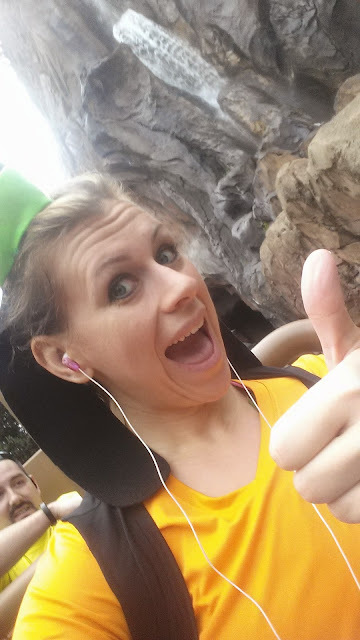 I quickly got into the single rider line (they were ready for us) and had a BLAST riding Everest in the middle of a marathon. Now THAT is a bucket list item for sure! 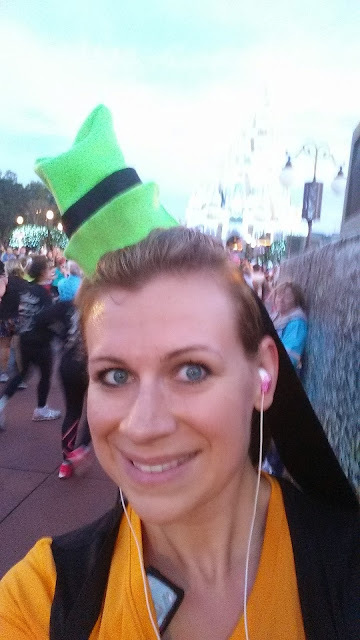 After the Animal Kingdom, I was finally free to run a little faster, so I picked up the pace and didn't stop as much...well...except for this picture. It's a must stop for me! I love the Haunted Mansion! After taking a quick break to lie down, we were headed into ESPN Wide World of Sports. A lot of people don't like this part, but honestly, they must have not been on the course before it was added. It's perfect timing to give you a break in the miles. 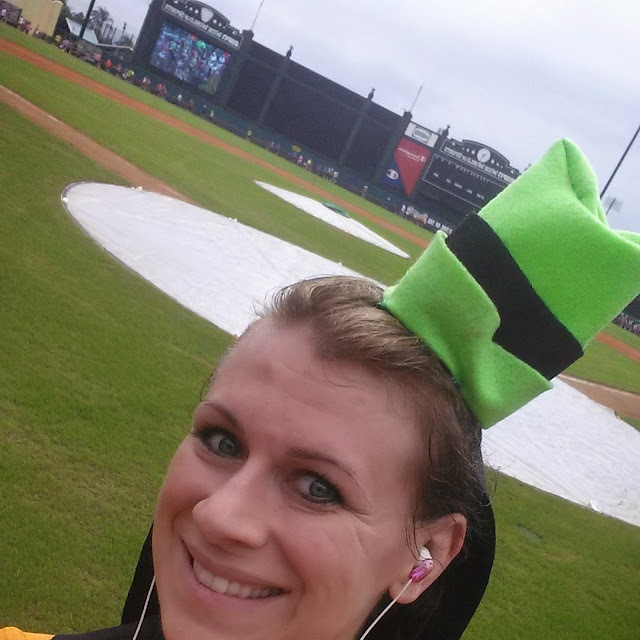 You are here from mile 17-20, you get your cold towel, and you get the energy of the stadium. Not my favorite part of the course, but it's definitely a fun part. Today, though, it started raining, so no wet towels were needed...we were already wet. 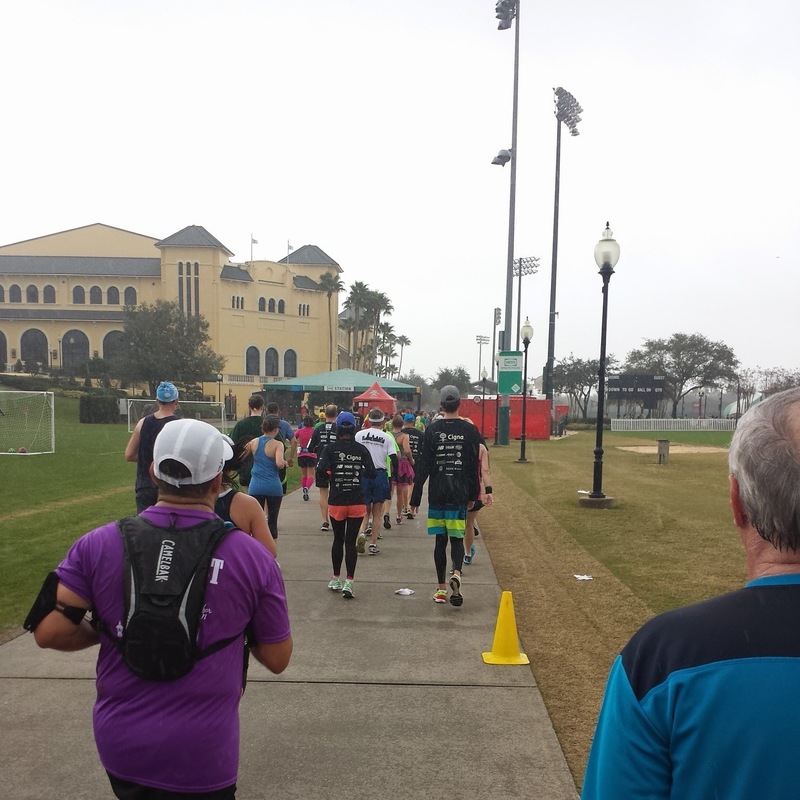 After WWoS, you hit mile 20 and it's the home-stretch. A steep uphill and you head on into Hollywood Studios. By this time the park is open and there are tons of people cheering you on...oh, and always a few that are angry that the park has traffic. I snapped a few pics quickly, but by this time it was starting to really rain, so I was also trying to keep the phone safe. A few quick turns, down around the boardwalk, and you are on your way to Epcot. It continued to rain, so this was the best shot I could get. You can almost, sort of make out the ball behind me. Either way, it's there...trust me on this one! Gospel choir, then DONE! 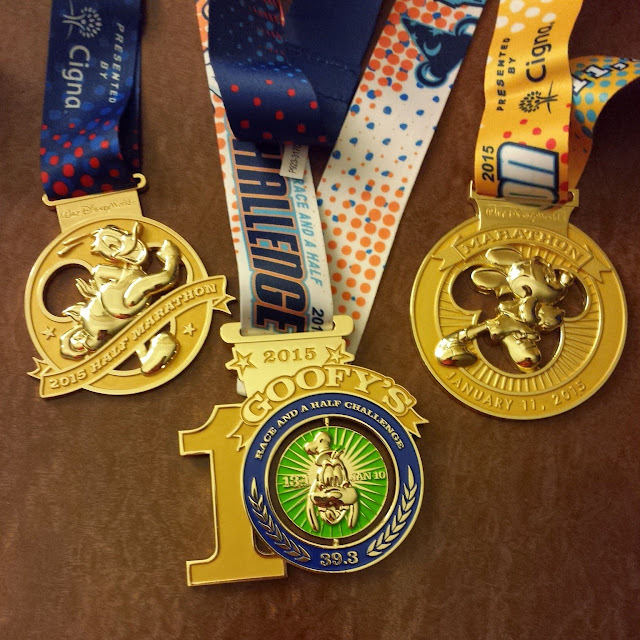 Another Goofy Challenge in the books, and my 4th WDW Marathon completed. Every year I say this is my last for a while. Let's see if that holds true for 2016! Thanks for coming along! Love volunteers--especially when they have BLING!